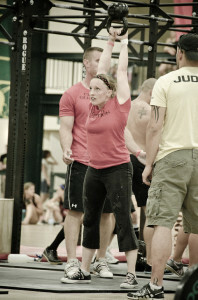 I started doing CrossFit in 2007, using it as a cross-training regimen while training to run my 2nd marathon. The program has introduced me to a new way of working out that has kept things exciting, competitive and results driven, while allowing me to get in amazing shape. 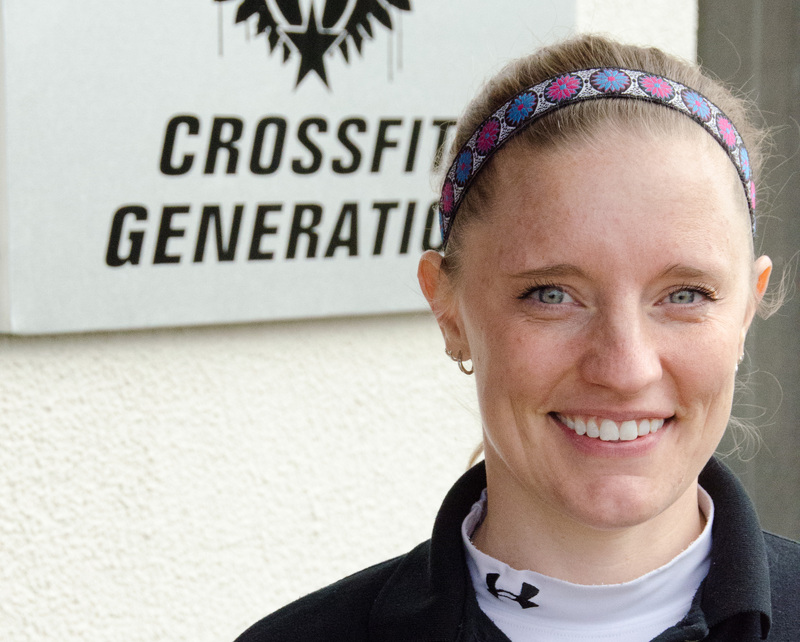 Over the years, I’ve competed at various levels in the CrossFit world as part of our CFG team in the 2010 Regionals in Logan, OH in 2010 and the 2011 Regionals at George Mason University, but I’m really a coach at heart. Coaching allows me to change people’s lives for the better and show people their true mental and physical potential. In high school I was a 3 sport athlete playing field hockey, swimming (both school and club) and lacrosse. Once I reached the collegiate level I concentrated on field hockey and played Division 3 varsity field hockey at Gettysburg in the Centennial Conference, where I received my degree in Health and Exercise Science. I was born in Las Vegas, NV. I only lived there a short time before my parents moved to Maine, where I grew up. Most summers, you could find me at our lake house or life guarding at the beach, while winters took me to Shawnee Peak for some skiing and generally frozen hind parts… literally, it’s freezing there in the winter. Currently I live in Horsham, PA with my husband, Barry, who I met in Baltimore, MD through the corporate fitness company where we both worked. We have two amazing children Emma and Brady who make our lives complete. My primary focus at CrossFit Generation is personal training and coaching kids, teens, on ramp and Crossfitness. I really enjoy working with people one-on-one. I love working with beginners and kids. The Crossfitness program we developed is also a strong passion of mine. 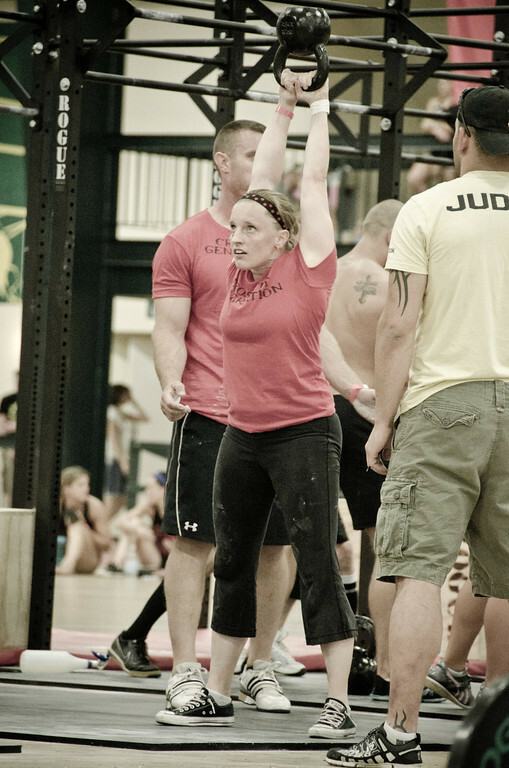 Favorite WOD: I’m a long distance type of athlete so I like WODS that last a little longer. I like the Filthy 50… but also like Helen. Favorite Movie: I can never pick just one…. but at the risk of being ridiculed, if I had to pick one… it would have to be Top Gun. Favorite Food: This is another tough one… can I just go with desserts? – specifically a brownie sundae! I also love cashew butter. Random Fact: I was a “ball girl” on TV for the Maryland Lottery pulling balls for the daily games Pick 3, Pick 4 and Bonus Match 5. It was one of my jobs out of college while working at a corporate fitness center.